This listing is for a frozen pupa. This is the stage of metamorphosis between the larva and the adult. 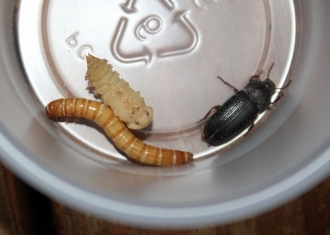 In the photo the pupa shows as the paler of the three specimens.